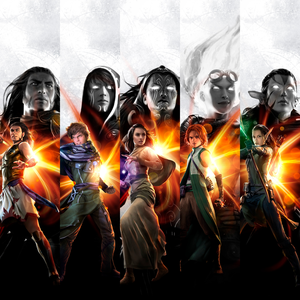 As Wizards of the Coast continues to release their weekly Magic Story updates, it is our goal on the Voice of All podcast to bring these stories to life through audio. Wizards is sending their normal story on break, so let's go back and visit where our heros started. Their origins, if you will! We can also be found on iTunes and Google Play! As this is outside the normal scope of the work, we can take our time a bit more than otherwise. Once cast, I will send you your lines and we can work together to find what schedule works best for you to get them to me. 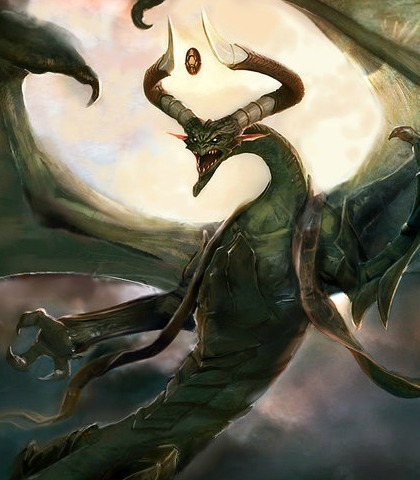 Elder dragon and tyrant of worlds, Nicol Bolas is one of the oldest known beings in the Multiverse. Witness to countless wars, cataclysms, and rivalries, Bolas is one of only five elder dragons to survive the Dragon War. 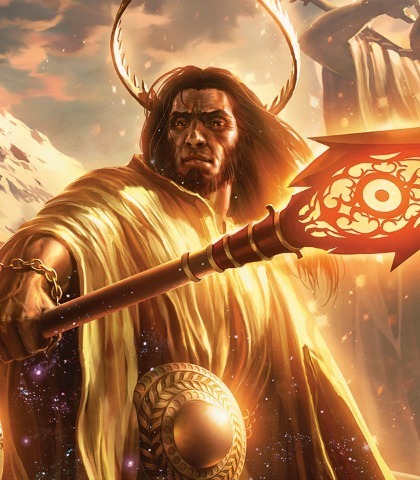 He’s also survived the destruction of his Madaran Empire on Dominaria at the hands of Tetsuo Umezawa, the epic duels between the Planeswalkers Leshrac and Teferi, and The Mending, which healed the universe and consequently changed the very nature of the Planeswalker spark, costing several Planeswalkers their lives. Nicol Bolas left a crumbling Dominaria before The Mending, implying that it couldn't be saved. "I have prepared a suitable place for myself in that eventuality," he said before departing through the Talon Gates. In fact, he had already begun plotting his next scheme for power. 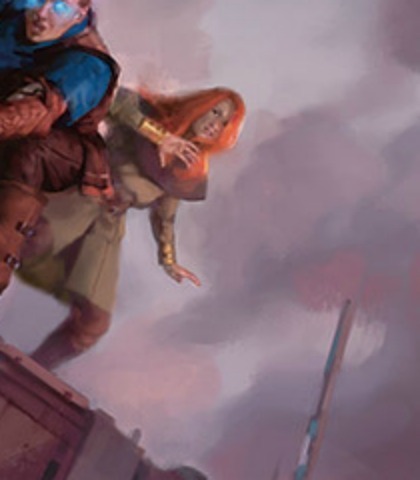 His “suitable place” was Alara, which Bolas had been watching for decades. 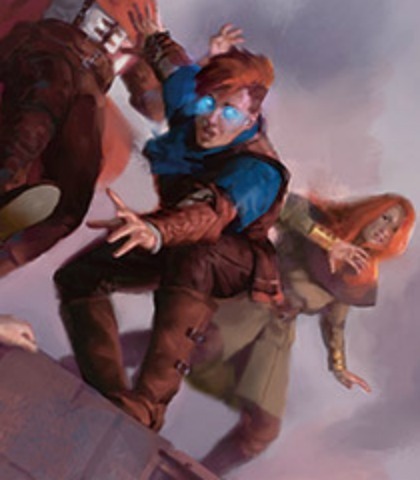 Long ago, he began recruiting agents on Alara’s five shards—gathering individuals and groups who could secretly do his bidding. These agents have sown the seeds of dissent, creating chaos and conflict. Unknown to all but Nicol, the shards of Alara are reconverging into a single plane, and when that happens, he wants all-out planar war. Why? His obsessive need to regain the godlike powers he had before The Mending. 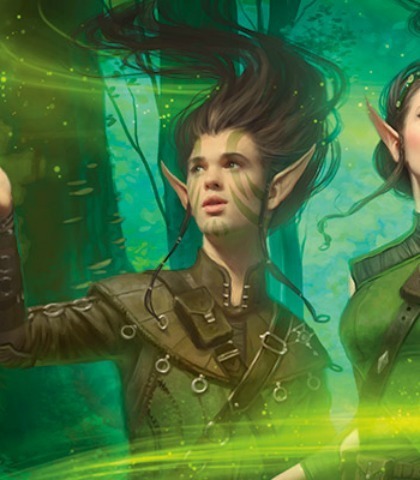 Back then, Planeswalkers were ageless shapeshifters whose supremacy was limited only by their experience and knowledge. This elder dragon had that power torn away from him, and he will go to any lengths to get it back. For Nicol Bolas, all the power in the universe is not enough. 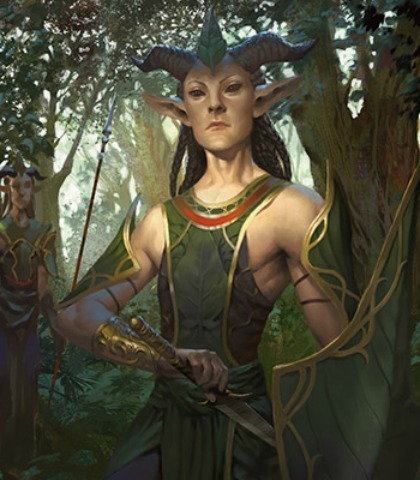 Nicol Bolas has been a major villain in the Magic storyline throughout its history and will feature prominently in the story of Amonkhet starting March 29th. Should you accept this role, you will be asked to reprise it, likely quite often. "You did not know me at my height. I have lost more power than you could learn in a dozen lifetimes." “A soul isn't a trinket you can hand over to a demon, or an ember it can seize upon your death. You'll give up your soul, all right—because no one with a shred of soul could possibly undertake the tasks you will perform to pay off your debt." 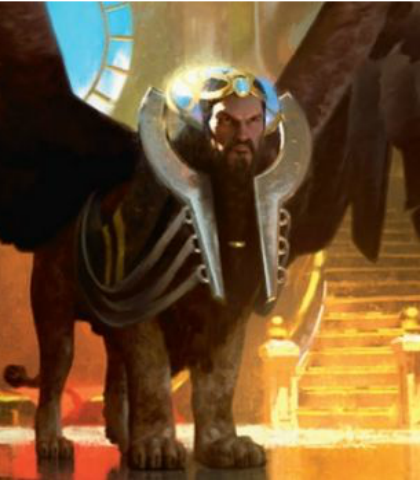 A sphinx mind mage from Vryn who trained Jace Beleren in mind and illusion magic. He is an arbiter between the two warring factions on the plane. Though he appears benevolent and fatherly, he is secretly selling information between the two armies, extending the war indefinitely for his own gain. His voice should be deep and booming. I will train you to control your powers. I will help you hone them, to accomplish feats of telepathy you never dreamed possible, to glean deeply hidden information…and to do all this without hurting anyone. 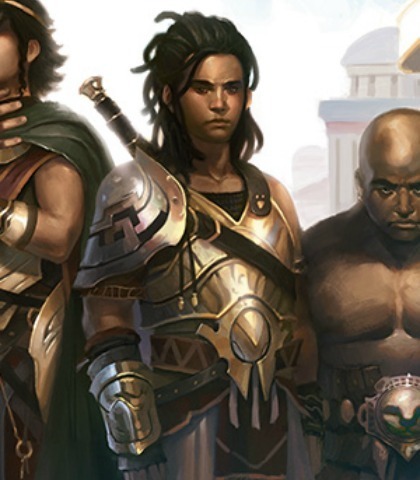 The God of the Sun on Theros, supposed head of the gods. Tall, strong, with a warm facade. He is very concerned with his image and can be very jealous. 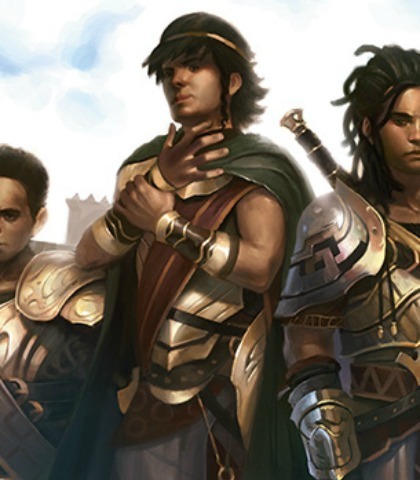 This is a major character in the story of Theros. Should we return to the plane, you will be asked to reprise the role. 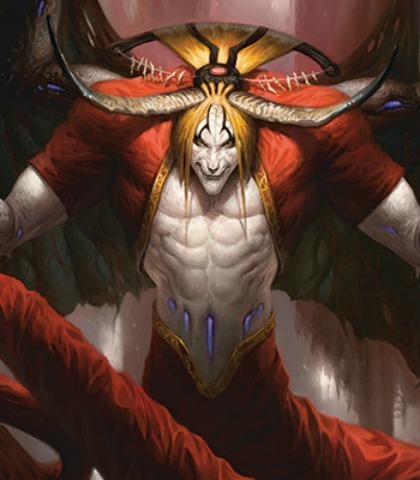 One of the four demons who has made deals with Liliana to return her power to her. Cruel, manipulative, and snake-like. "Indeed. And I understand I am the fourth of your patrons. Did your other agreements meet your expectations?" "Oh, but I will be your most demanding master, Liliana. I have great things in mind for you. So if you have the least hesitation, you might want to reconsider. You have gained a great deal of power already." "If you ever get the idea of testing your strength against me," the demon said, "I will slit you open again. But this time, there will not be a young and beautiful Liliana underneath." 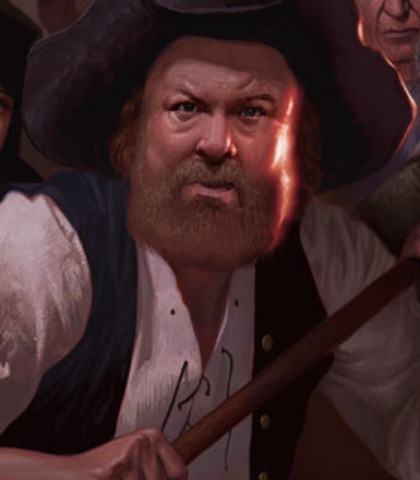 Jace’s father, described as grubby and balding. He is unhappy with his place in life, and just wants his son to be a good, normal student so that he can have a better life. 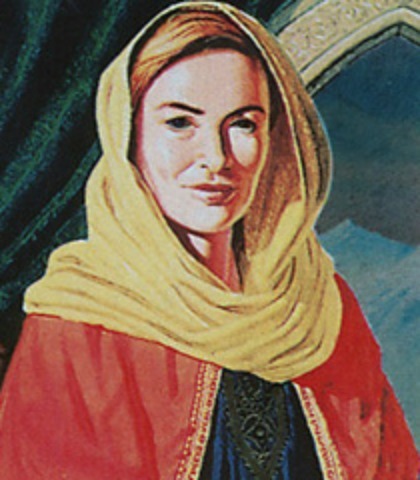 Jace’s mother. A healer, described as gentle and patient. One of Jace’s bullies. A young woman and the quieter brains of the bunch. One of Jace’s bullies, the largest of the three. A fourteen year old with a lot of anger and repressed issues. A knight captain who finds Gideon after his first planeswalk. She is tall, strong, and concerned for his well-being. 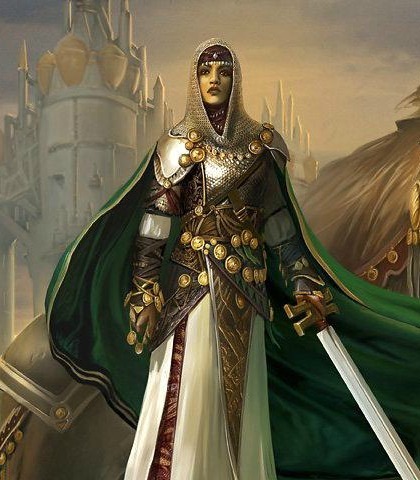 A powerful elven healer and high ranking member of the Selesnya Conclave. She is gentle and kind and known to take in strays, which is why Jace has come to her. A lorwyn elf, arrogant and self-important. 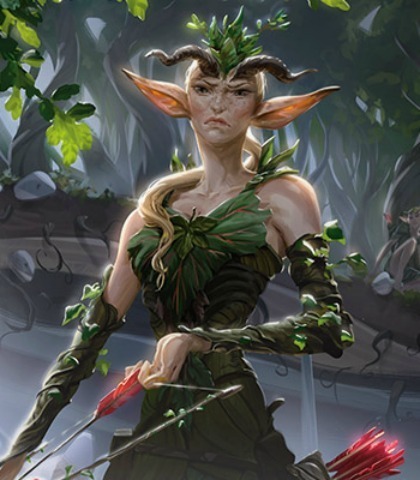 She is leading a party of hunters out to slay boggarts (the local goblins) because they are ugly, when they encounter Nissa. 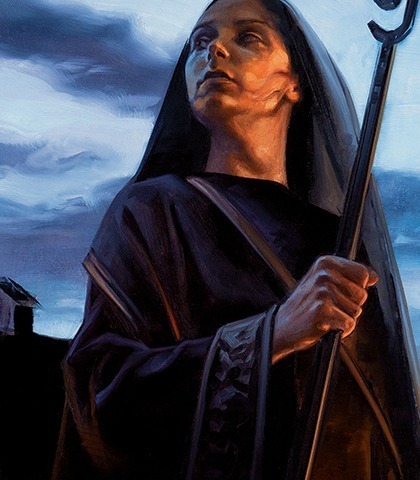 Liliana’s mentor, a healer of great renown. "I'll be the judge of that. How did you make it? What are the components?" "The administration of curatives is not to be rushed. Some potions can do more harm than good." 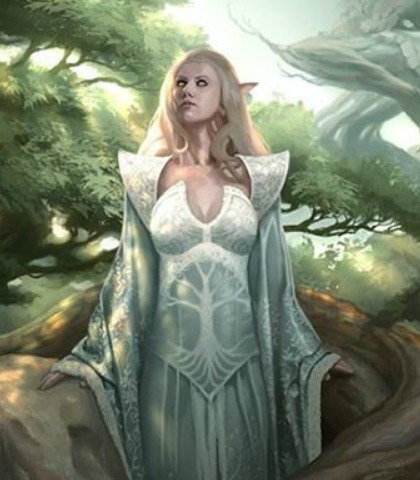 A lorwyn elf. He is arrogant and self-important, as they all are. 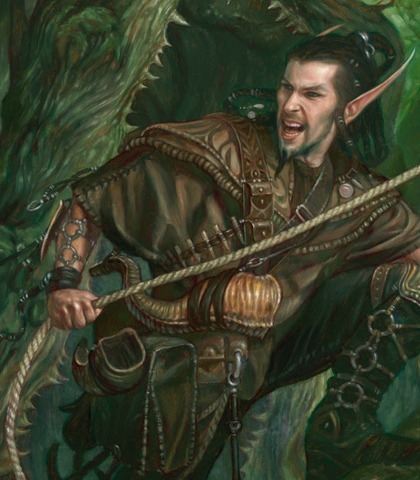 A member of Dwynen’s hunting party. A friend of Nissa’s. He travels with her to seek the soul of Zendikar and heal it. 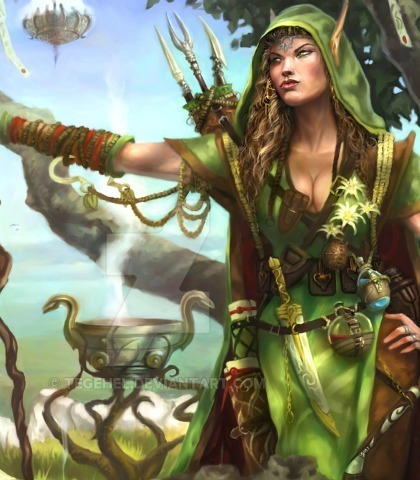 Chief of a Joraga elven village on Zendikar . A suspicious man concerned only with keeping his village safe. 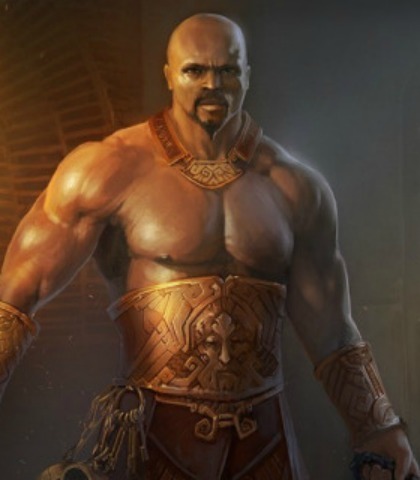 A beefy thug in Hixus’ prison, demanding tribute for Ristos, the self-proclaimed “king” among the prisoners. Another of Kytheon’s young friends and a member of the Irregulars. He is fond of taking bets on anything. One of young Kytheon’s friends and a member of his Irregulars. He is experienced with the prison system and advises caution for Kytheon. 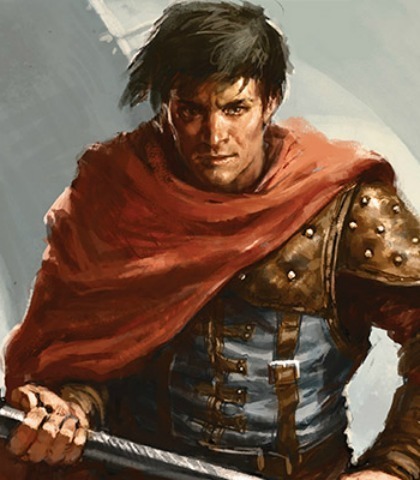 Liliana’s brother, who lays feverish and dying for most of the story. 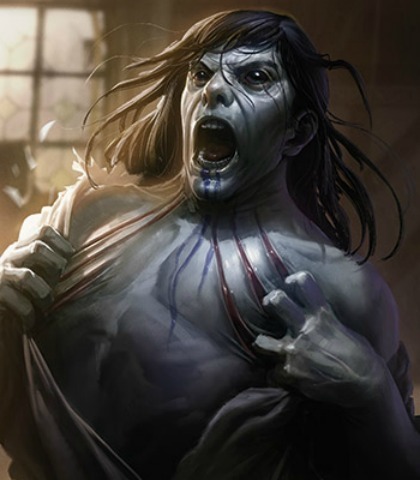 When Liliana gives him what she believes is a cure, he becomes an undead, vengeful monstrosity (the second and third line). "You damned me, Sister! Damned me to endless torment!" "So my sweet little sister dabbled in necromancy, and turned me into this!" 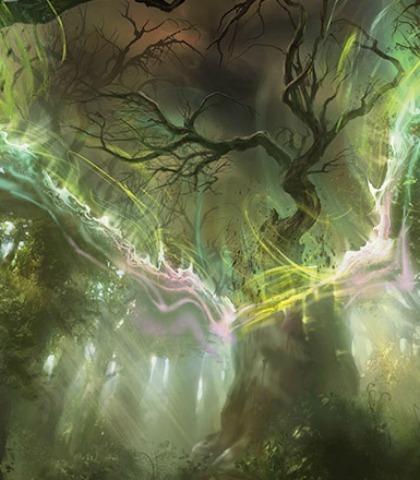 The soul of the plane of Shadowmoor, corrupting the land of Lorwyn. Sinister and soft. Like a “chorus of thousands of shadowy spiders”.